The most effective design ever, the performance characteristics are impossible to duplicate in metal. The unique 'V' soleplate and exceptionally low centre of gravity make for spectacular launch qualities from any lie. #2: 13o Dual purpose with great launch qualities off fairway and tee. Unique performance into the wind, long and low - ideal for links courses. #3: 15o The combination of length and launch angle make this the staple fairway wood in most players bags. #4: 18o A real alternative to the #3 wood, for players seeking good length with a higher launch angle. 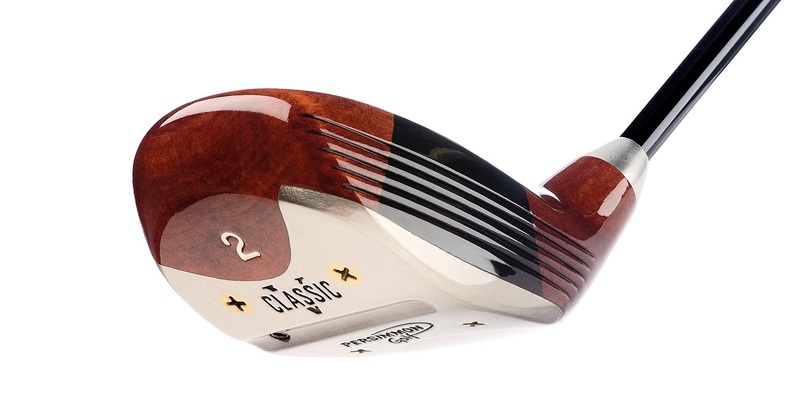 Top performance from lighter rough, and an ideal partner to a #2 wood. 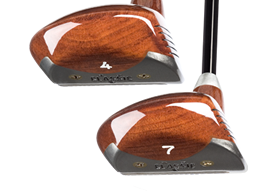 #5: 21o A great club for both fairway and ease of use from average rough. #7: 24o The perfect balance of height and length. Ideal for longer shots from heavier rough and on par 3 tees for a high flight into the green. #9: 27o Superb performance from poor lies and rough. For high launch and distance - no rescue club compares. Our high-quality graphite and steel shafts are recommended for our persimmon heads, however we will be pleased to quote for any specific alternatives.